PV6004 6' Outdoor Kitchen Island is a stylish state-of-the-art outdoor kitchen island that provides the prefect space for cooking wonderful meals and entertaining family and friends. The beautifully equipped island can be customized with a variety of unique features including a 3 burner Grill, Access door and fridge. 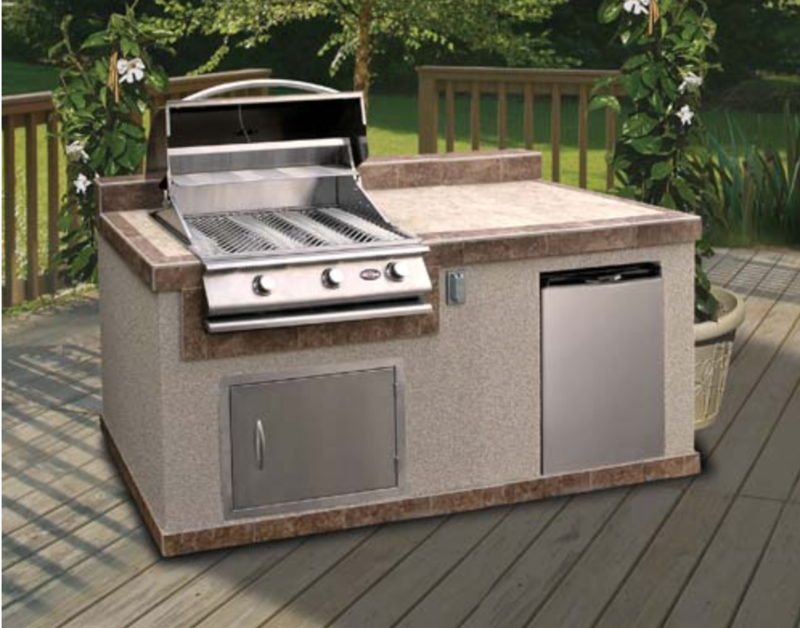 Cal Flame makes it easy to create the Ultimate Chef’s Paradise. 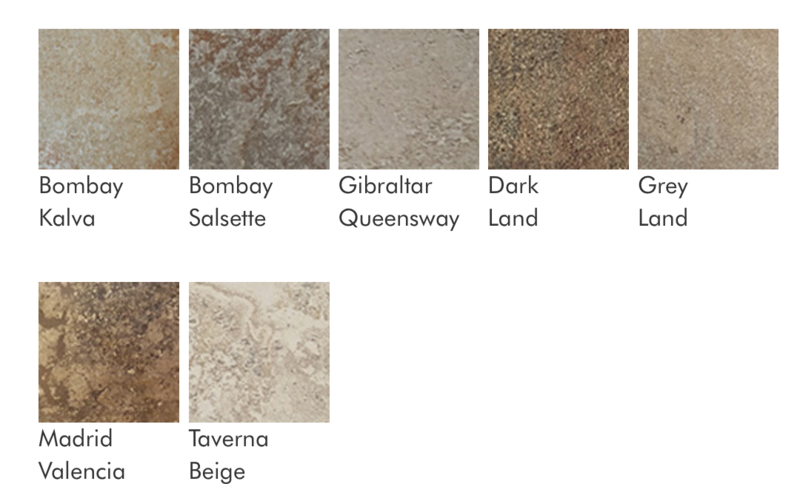 YOU CAN CHOOSE YOUR BASE AND TILE COLORS(SEE PHOTOS FOR COLOR CHOICES). 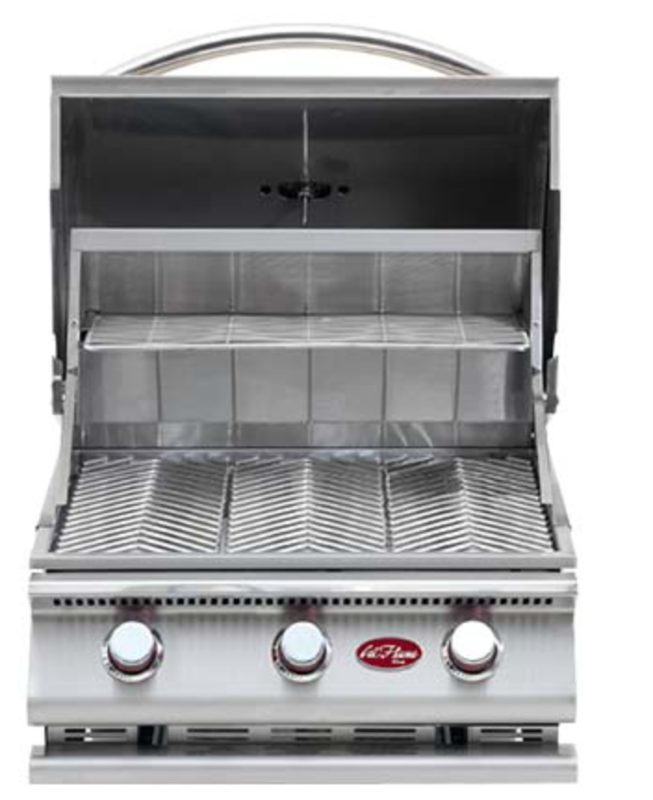 73½" x 45" x 33¾"
The perfect introductory grill for any outdoor kitchen, this 3-burner unit delivers all the cooking power of 45,000-BTUs on one 600 sq. in. grill. THE G3 Has stainless steel durable design and built-in hood thermometer. Own this versatile grill today! Grill comes set up for Liquid Propane, but can be converted to Natural Gas with the Optional Natural gas conversion kit. 24 1/2" x 24" x 22 7/16"
Cut-Out Dimensions 23½" x 22¼" x 9½"